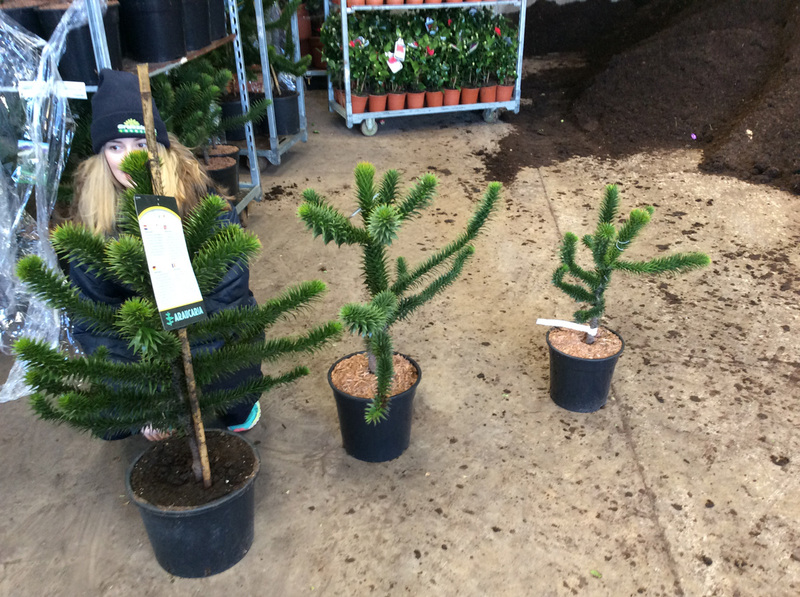 Araucaria - Monkey Puzzle - a beautiful feature conifers with spiral spiky branches needle like, evergreen triangle sharp leaves. When older they will produce brown cones on the upper branches. Monkey puzzles Chile pine will grow in full sun or part shade and left untouched can reach up to 12 meters tall and 8 meters wide, Araucaria are best to be planted as a specimen plant.